Hyundai is launching an all-new vehicle platform for its global automotive products, which will enhance design options, safety in traffic and fuel efficiency as well as driving performance for several future all-new Hyundai models to be launched in Europe beginning in 2020. The all-new third-generation modular Hyundai vehicle platform builds on the former platform’s core advantages and has global implications for years to come. It is lighter, more flexibly configured and its design even boasts more efficient air flow. Hyundai has made significant improvements in collision safety through the adoption of a multi-load path structure, hot stamping, and integrating a super high-tensile steel plate on its all-new platform. 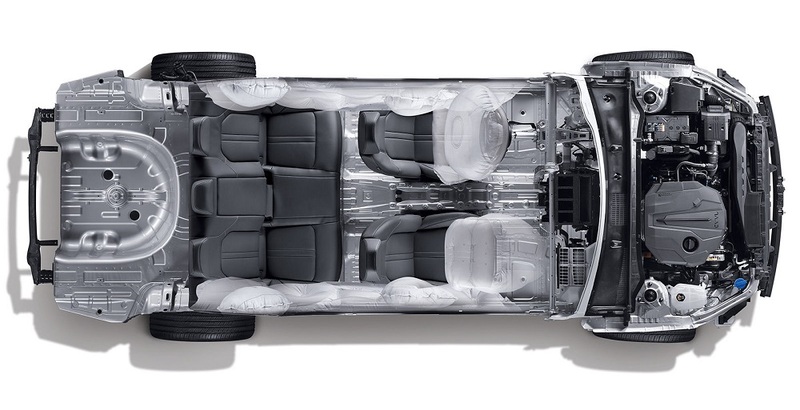 A sophisticated multi-load path structure increases the energy absorbed by the car in a collision, improving safety by minimising its impact to the passenger cabin. The extended application of hot stamping also prevents deformation of the passenger space, thereby further improving vehicle safety. The tyres will even move outward during a small overlap collision to maximise customer safety. This latter technology keeps vehicles from spinning and prevents the possibility of secondary collisions. In addition to this, the third-generation platform enables agile handling by dramatically increasing lateral stiffness and positioning the fixed points for the steering arms closer to the middle of the front wheels. Tyre-optimisation technology ensures stable and balanced driving performance. Meanwhile, noise, vibration and harshness (NVH) performance is improved through reinforced sound-absorbing systems in vibration-sensitive parts. The third-generation platform also allows Hyundai designers to implement sporty and stylish elements to new vehicles. By featuring a system that controls the flow of air, the new platform improves air movement through the engine bay and allows heat to dissipate. This enhances stability in the lower part of the vehicle. Vehicle stability is further enhanced by the lowered position of heavy equipment within the platform, which reduces weight and lowers the centre of gravity. Aerodynamics have also been improved so that air resistance is minimised to deliver excellent fuel efficiency, power and driving performance. The new modular platform has been developed for possible application of Hyundai’s next-generation engine called the Smartstream Powertrain. Hyundai announced that it has implemented its third-generation vehicle platform to the new-generation Sonata scheduled to go on sale in various markets over the coming months. The new platform will become available to customers in Europe with the introduction of new Hyundai models starting in 2020. This innovative all-new modular platform follows the first-generation modular global platform family in 2008 and the second-generation introduced in 2013.